AES, New York City, (October 18, 2013) - iZotope Inc., a leading audio technology company, has released Nectar® 2 Production Suite. Designed specifically for voice, Nectar 2 harnesses the power of iZotope’s award-winning vocal technologies to quickly and easily treat your voice to sweet results. Whether you're tracking or mixing, Nectar 2 is designed to deliver professional vocals fast. Exclusive to the new Nectar 2 Production Suite, two additional plug-ins are included for perfecting your vocal sound. Pitch correction is simpler than ever with the new Pitch Editor plug-in, and you can remove distracting breaths without tedious, time-consuming editing with the new Breath Control plug-in. Explore eleven powerful tools within Nectar 2: Harmony, Plate Reverb, FX, Pitch, Delay, De-Esser, Saturation, Compressors, Gate, EQ, and Limiter. 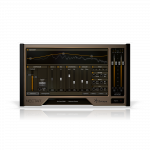 ● Add impact and space to a vocal track with a new EMT 140-modeled Plate Reverb. ● Transform a vocal take into a dynamic, harmonized ensemble of up to twelve voices with a few mouse clicks or by playing your MIDI with the Harmony module. ● Get smooth, pitch-perfect takes quickly with new dedicated Pitch Editor and Breath Control plug-ins. ● Expand your palette of vocal sound with seven new creative effects in the new FX module. ● Tweak each module's powerful settings and controls in the Advanced View, or make quick adjustments in the streamlined Overview panel. ● Switch easily between Tracking and Mixing modes to improve vocals at all stages of production. ● Hear instant results with over 150+ new presets inspired by current and classic vocal styles. For more information about Nectar 2, visit www.izotope.com/nectar. 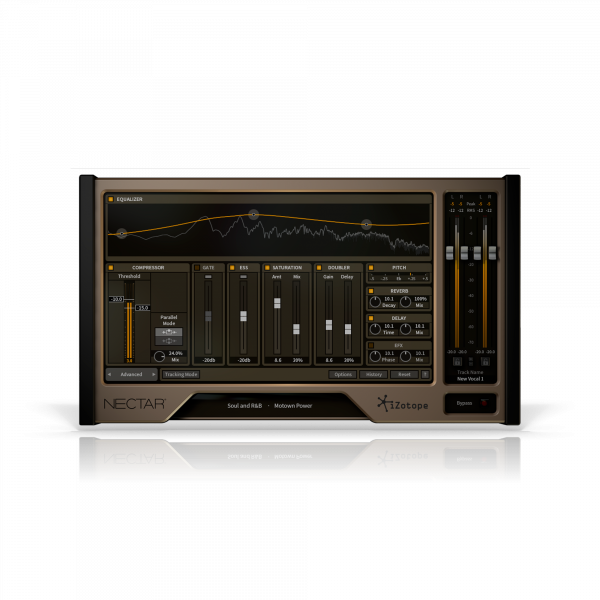 Nectar 2 Production Suite, featuring the dedicated Pitch Editor and Breath Control plug-ins, will be available for $219 through October 30, 2013 (regular MSRP $299 USD / €185 EURO). Customers who purchased Nectar after August 1, 2013 will receive an email with a free upgrade to Nectar 2 Production Suite upon release. Users of Nectar 1 or Nectar Elements can log in to their iZotope accounts at www.izotope.com/myaccount for upgrade information and special upgrade pricing. Nectar 2 can be used as plug-ins in your favorite host. Supported plug-in formats include 64-bit AAX (Pro Tools 11), RTAS/AudioSuite (Pro Tools 7.4-10), VST, VST 3, and Audio Unit.